A BRAVE HEART follows the inspiring journey of 26-year-old, 63-pound Lizzie from cyberbullying victim to anti-bullying activist. Born with a rare syndrome that prevents her from gaining weight, Elizabeth “Lizzie” Velasquez was first bullied as a child in school for looking different. As a teenager, she was bullied online when she discovered a YouTube video labeling her “The World’s Ugliest Woman.” The film chronicles unheard stories and details of Lizzie’s physical and emotional journey up to her multimillion viewed TEDxAustinWomen talk (#1 TEDWomen event of 2013) and follows her evolution as motivational speaker and activist as she lobbies Congress for the first federal anti-bullying bill: the Safe Schools Improvement Act (SSIA). 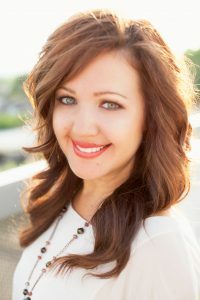 A native Austinite, Sara has held positions in media and entertainment including Executive Director of Interactive Marketing at Paramount Pictures, VP of Digital Marketing at MGM Studios, and CEO & Co-Founder of NowLive (acquired by Live Media Group in 2013) where she executive produced live events including The Hunger Games Premiere, Macy’s Fashion Night Out, and the Academy Awards Red Carpet. She was selected to attend The White House Women Entrepreneurship Conference in 2010, The White House Champions for Change Summit in 2012, and in 2012 and 2013 was nominated for Fortune’s Most Powerful Women Entrepreneur, and The Producer’s Guild of America New Media Council and Women’s Impact Network. Most recently, Sara moved back to Austin for the role of Executive Producer for the first TEDxAustinWomen, which was the most viewed 2013 TEDxWomen event worldwide. Sara is honored to be directing and producing A Brave Heart: The Lizzie Velasquez Story.